Included items: fully furnished, fridge, stove, dishwasher, washer/dryer; also includes maid service twice a month, utilities, local telephone, cable, and high speed wireless internet. Property represented and posted by Sunstar Realty Ltd. We do not charge prospective tenants any handling fees, application fees or processing fees. Payments from all major credit cards and direct debit accepted (subject to transaction fees charged by Rentmoola). 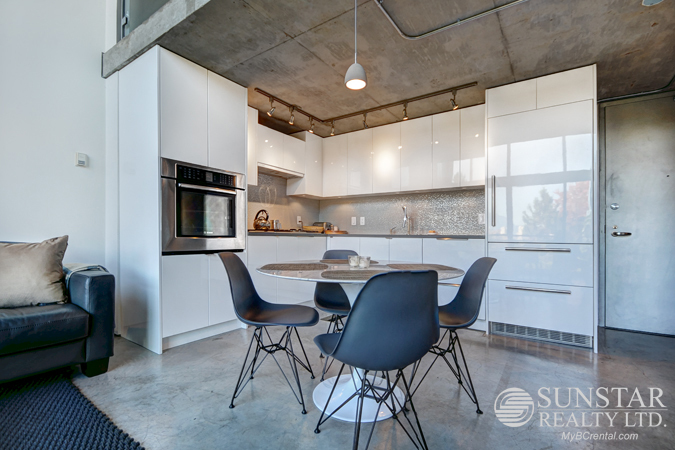 Granville Island Furnished Penthouse Loft - Sunstar Realty Ltd.